Easy to learn and fun to use, hoverboards are popular among with children and adults, but they are still quite misunderstood. If you have just picked up your first hoverboard or you are considering buying one, it’s important to learn how to use them correctly. This includes understanding that things that you should never do with a hoverboard. Here is our list of the six most important things that you should never do when you are buying and using your hoverboard. It is the case that there are some places that hoverboards are not allowed to be used – but this depends on where you are in the world. 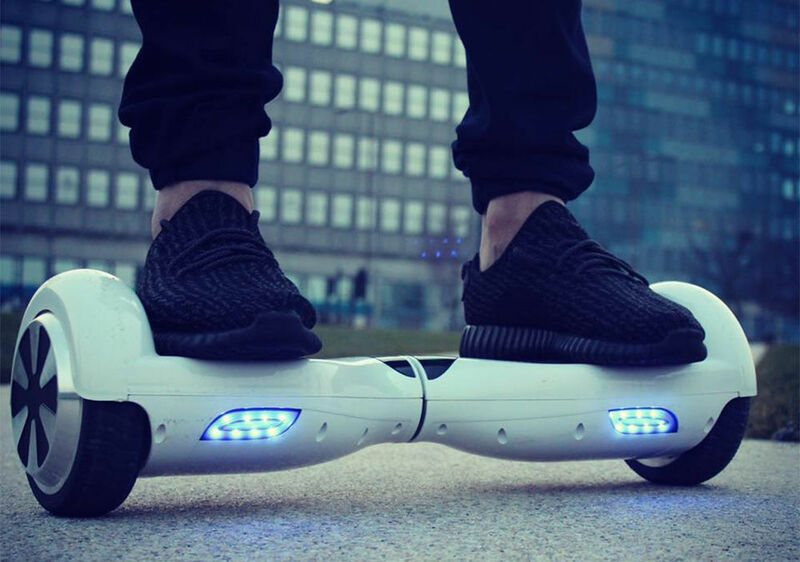 In the UK, for example, it is illegal to use a hoverboard either on a public pavement or road. In fact, there are only a few public spaces that allow the use of hoverboards (they are fine to use in some parks, but you need to check if it is the case). This means that if you want to use a hoverboard, it needs to be on private property, or anywhere that you have previously gained permission to do so. However, elsewhere in the world, the rules are not quite so strict. In some US states, hoverboards can be used on pavements. And the majority of countries have no laws against using them in public parks. When hoverboards were initially released, they made headlines for the wrong reasons. Many of the devices were catching fire while charging which led to them being banned from sale by a number of large businesses. It was soon established that the products that were malfunctioning were those that were cheap imports from China that were not using genuine batteries or testing their electronics. It is still possible to buy these hoverboards today if you don’t use reputable suppliers, so remember that if the price looks too cheap, there is probably a reason for that. High-quality hoverboards are affordable now, and the best online hoverboard sellers in the UK will only buy authentic products that use genuine, verified batteries and have electronics that have been fully tested to British standards. There is no official age restriction for the use of hoverboards and it is very much down to the discretion of parents to decide whether it is a suitable for their child to use. Despite their bright colors and lights, hoverboards are not toys – models can go 15km/h. There is a minimum user weight of 20kg, but that doesn’t mean that you should let any child that weighs more than the limit on one. Famously, the early problem with hoverboards catching fire was down to the chargers. Those issues can be avoided, as discussed earlier, by buying from a reputable seller that only sells high-quality products. But you should still be aware that it is unwise to overcharge a hoverboard. Leaving it on overnight or long after it has been fully charged can actually put a strain on battery and eventually cause it to fail. One mistake that many hoverboard users make is in assuming that they can be easily taken off-road. It’s actually the case that standard hoverboards are only designed to work on flat surfaces, and taking them somewhere that isn’t flat will simply increase your chances of falling off and hurting yourself. It should be noted that if you are interested in going off road, there are all-terrain hoverboards that do make it possible. Finally, it’s worth remembering something obvious: don’t abuse your hoverboard. Crashing often or using the hoverboard out of control is not only dangerous for you, it can also damage the board. Good quality boards will be sturdy enough to handle knocks and bumps, but if you use them aggressively it can drastically reduce their lifespan.